· contribution to cultural relations impact. The global objective of SHARE is to strengthen regional co‑operation, enhance the quality, regional competitiveness and internationalisation of ASEAN higher education institutions and students, contributing to an ASEAN Community in 2015 and beyond. At the core of SHARE is the desire to enhance co‑operation between the EU and the ASEAN Economic Community (AEC) and create lasting benefit from the harmonisation of higher education across ASEAN. Realisation of AEC integration will facilitate the free flow of goods, services, investments, capital and skilled labour. · ASEAN Credit Transfer System (ACTS) (Result 3a) and ASEAN‑EU Credit Transfer System (AECTS) (Result 3b) further developed and tested through mobility with scholarships. Implementation of the Programme began in January 2015. The implementation period of the Programme is 48 months. The Programme will be implemented by the British Council (Lead), Campus France, DAAD (German Academic Exchange Serviec), ENQA (European Association for Quality Assurance in Higher Education), EUA (European University Association) and EP-Nuffic. Programme budget is 9.8 million Euros. 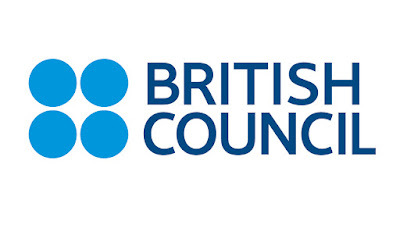 The role of British Council's SHARE team is challenging, as it operates from two offices: a Project Management Office located within the ASEAN Secretariat and the stand-alone British Council County Office in Jakarta. The job may require some occasional business trips nationally and internationally –particularly within ASEAN region. It will also involve occasional weekend and evening work. Such requirements will be managed and compensated within British Council HR’s regulations. Closing date for receipt of applications is by 23:59 UK time on Tuesday, 14 February 2017. It is essential that candidates use the application form provided on our website. The British Council does not accept CVs in place of the completed application form and it is unable to respond to telephone enquiries. The British Council is committed to a policy of equal opportunity and welcomes applicants from all sections of the community.